Keep your pup warm and comfy with a Basic Cozy Hoodie! The super soft cotton/poly sweatshirt fabric is so soft! Sporty and warm, even has a leash opening at the back and a pocket (which is infinitely funny). This is the same hoodie Dpcted Apparel uses for the slogan hoodies. 2 sizes, both cut well for broad-chested dogs. 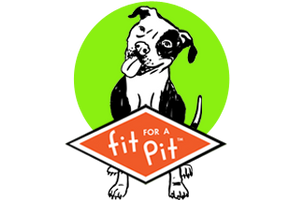 SIZE L WILL FIT DOGS UP TO 50 LBS AND XL MAXES OUT AT AROUND 70-75 LBS! PLEASE MEASURE YOUR DOG BEFORE ORDERING. IF THE WEIGHT ENTERED IS BEYOND THE RANGE FOR THE SIZE ORDERED, CONFIRMATION OF YOUR DOG'S MEASUREMENTS WILL BE REQUIRED BEFORE IT SHIPS. This is our second hoodie for our pup- he loves it! Since he has short hair, it keeps him cozy in the fall/winter. He is a 60 lb American Staffordshire Terrier - he fits perfectly in a size XL. This hoodie fits our pitt perfectly!! Great quality!